A new study from MIT and Massachusetts Eye and Ear has found that glaucoma may in fact be an autoimmune disorder. "This opens a new approach to prevent and treat glaucoma,"
says Jianzhu Chen, an MIT professor of biology, a member of MIT's Koch Institute for Integrative Cancer Research. Dong Feng Chen, an associate professor of ophthalmology at Harvard Medical School and the Schepens Eye Research Institute of Massachusetts Eye and Ear, is also a senior author of the study. The paper's lead authors are Massachusetts Eye and Ear researchers Huihui Chen, Kin-Sang Cho, and T.H. Khanh Vu. 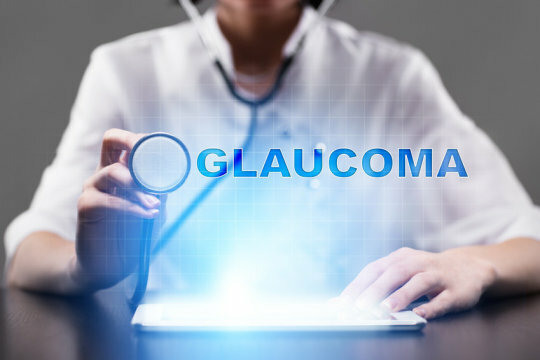 One of the biggest risk factors for glaucoma is elevated pressure in the eye, which often occurs as people age and the ducts that allow fluid to drain from the eye become blocked. The disease often goes undetected at first; patients may not realize they have the disease until half of their retinal ganglion cells have been lost. "That led us to the thought that this pressure change must be triggering something progressive, and the first thing that came to mind is that it has to be an immune response,"
To test that hypothesis, the researchers looked for immune cells in the retinas of these mice and found that indeed, T cells were there. This is unusual because T cells are normally blocked from entering the retina, by a tight layer of cells called the blood-retina barrier, to suppress inflammation of the eye. The researchers found that when intraocular pressure goes up, T cells are somehow able to get through this barrier and into the retina. The Mass Eye and Ear team then enlisted Jianzhu Chen, an immunologist, to further investigate what role these T cells might be playing in glaucoma. Further studies revealed that the glaucoma-linked T cells target proteins called heat shock proteins, which help cells respond to stress or injury. Normally, T cells should not target proteins produced by the host, but the researchers suspected that these T cells had been previously exposed to bacterial heat shock proteins. Because heat shock proteins from different species are very similar, the resulting T cells can cross-react with mouse and human heat shock proteins. The researchers then turned to human patients with glaucoma and found that these patients had five times the normal level of T cells specific to heat shock proteins, suggesting that the same phenomenon may also contribute to the disease in humans. The researchers' studies thus far suggest that the effect is not specific to a particular strain of bacteria; rather, exposure to a combination of bacteria can generate T cells that target heat shock proteins. One question the researchers plan to study further is whether other components of the immune system may be involved in the autoimmune process that gives rise to glaucoma. "What we learn from the eye can be applied to the brain diseases, and may eventually help develop new methods of treatment and diagnosis,"